The business of fantasy fun has gone mainstream in the Triangle. Between presiding over two North Carolina Comicons annually and owning three Ultimate Comics shops—four if you count the secret/not-secret Morrisville warehouse location—Alan Gill’s influence threads through North Carolina nerd culture like adamantium through Wolverine’s bones. Appropriately, when NC Comicon Raleigh hits the Raleigh Convention Center on Saint Patrick’s Day weekend, it signals the de facto kickoff of the Oak City’s increasingly busy con season. NC Comicon boasts impact, visibility, and a history of impressive guests such as legendary rapper Daryl “DMC” McDaniels and Fight Club author Chuck Palahniuk, yet Gill explains that the con remains a labor of love for himself and his team. It also bodes well for comic book stores that readers inherently prefer to hold the book. Unlike books that are entirely prose, comics present as a very visual story. “If you want that physical copy, you probably want to go in and look at it before you buy it. If you buy a comic online, you can’t check it for the condition or flip through it. Comic book stores definitely still have a place because of how comic book readers think,” Gill says. The growing popularity of movies like Into the Spider-Verse or Aquaman also helps to promote interest in comic books and conventions like NC Comicon. “There are lots of good comic book stores in North Carolina, whether it’s Fight or Flight in Raleigh (those guys are really good) or Ssalefish Comics in Greensboro,” Gill says. 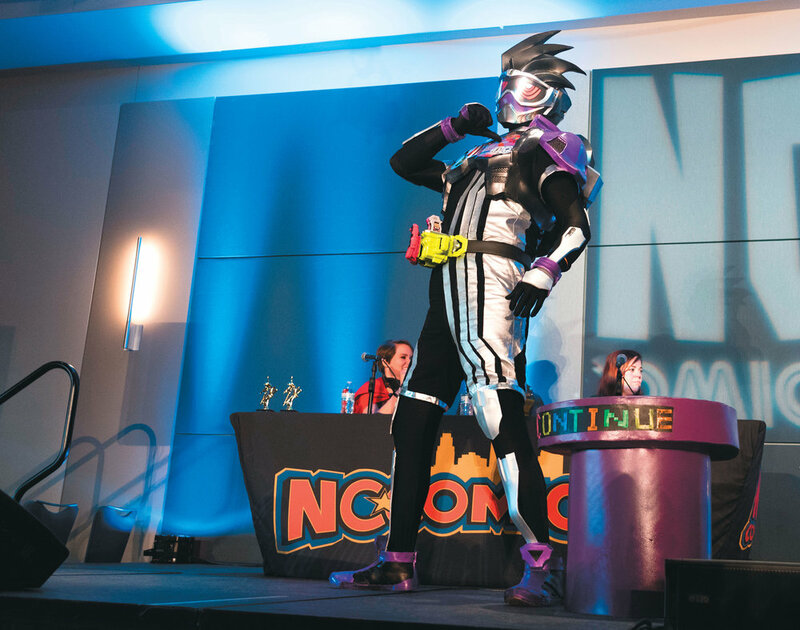 NC Comicon has found its niche among the many conventions that serve various fandoms, and Gill highlights others of note: “There’s Animazement, which has been around forever, and a couple of video game conventions. Playthrough Convention is a video game convention that hits the weeks after the Raleigh Comicon in March. Of course, the 800-pound gorilla is Supercon. They are a big chain convention, just like Wizard World. That level we can’t compete with, so we don’t try to. They tout themselves as a pop culture festival with a big emphasis on meet and greets and photo ops, which we try not to get into. We bring creators.” Ultimate Comics also helps host a charity event, Comics for a Cure 5K, created by one of its customers, Neil Ellis, and held on Free Comic Book Day (this year on May 4th). Gill says they assist with the event, but it’s Ellis’ baby and he picks a different charity each year to support. In addition to hosting the event, Ultimate Comics allows race participants the first opportunity to go through the line for the free comic book table.